Sunflower kernels are one of the most nutritious and healthy foods. They are an excellent source of protein, dietary fiber, healthy unsaturated acids, all B Vitamins and Vitamin E. The sunflower kernels also contain high levels of the dietary minerals, magnesium, phosphorus, iron, and zinc. Shelled sunflower seeds have a mild nutty taste and firm, but tender texture. The sunflower kernels are ready to enjoy! Sunflower kernels are valuable and nutritious seed to have in any garden. They attract variety of birds- cardinals, juncos, titmice, blue jays and more. With the high oil and protein content these seeds are packed with energy, vitamins and minerals that birds need every season. 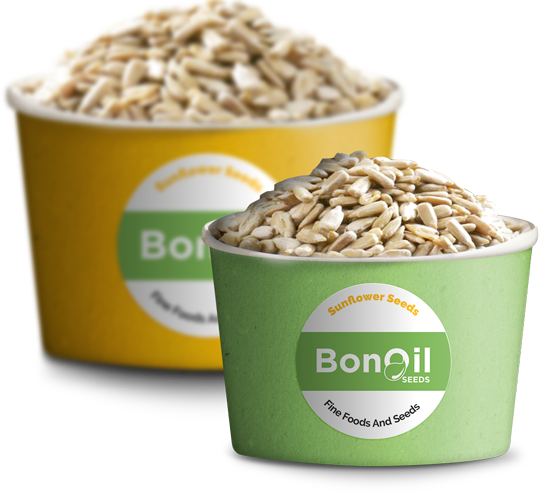 Recently sunflower kernels have become one of the leading products used in Bakery industry. Sunflower kernels have pleasant flavor, nutty texture and are nutritious. Hulled sunflower seeds are perceived to be healthier than any other nuts that are used in Bakery industry. Sunflower kernels are widelly used as an ingredient, especially in multigrain products. Sunflower seed nut becomes the basis of the various confectionery products. The parameters of taste and smell of sunflower kernels are fully consistent with the product. Used in the popular and widely enjoyed confectionery products as Halva, kozunaki, cookies, used to sprinkle cakes, an ingredient commonly found in chocolate and in many other ways. The eco pellets are extremely dense and have low moisture content which allows them to burn with very high efficiency. Sunflower husk is the byproduct of sunflower seed. Since it is of low ash content and high calorific value, sunflower husk actually is a kind of biomass fuel which can be used as fuel resources. When the sunflower is processed into pellet, the energy has largely improved.